Save Marinwood-Lucas Valley - our community, our future: Banana Republic Tactics Corrupt Elections in California. Banana Republic Tactics Corrupt Elections in California. Vote fraud is rampant in California. San Fran has 108% of the eligible voters registered to vote. San Diego has 115% of those eligible to vote registered. 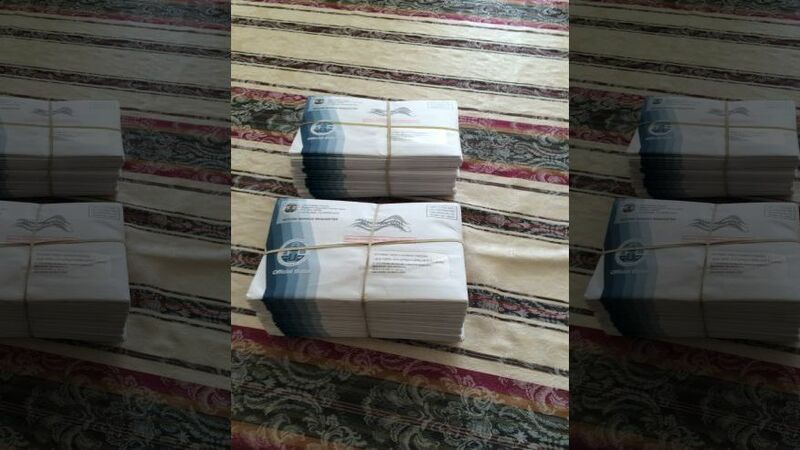 L.A. delivered 83 absentee ballots to one apartment address in San Pedro in 2016. Illegal aliens are voting, all they have to do is get a drivers license—oh, and you can register your dog to vote, by going online to the Secretary of State’s web site. We have no idea how much fraud exists—the Democrats refuse to audit the voting rolls, kick off the dead and those illegally registered. Easy to vote, legally or not. California elections are corrupted by State law. That was the goal—we are a Banana Republic. Register ten new voters that just became 18, the other side can create 100 voters that do not exist and get them registered—and voting. Think elections are honest in California? Stop smoking pot. Our current laws have created cracks within the election system. These cracks invite fraud; yet there is little interest on the part of legislators to fix them. “Nothing to see here,” we’re told. Citizens have a constitutional right to vote. We have laws on how to conduct elections, with dedicated officials and citizens to manage them; yet recent election laws, federal and state, have weakened the integrity of elections. Here’s a quick look. 1993: National Voter Registration Act. To register more voters and make the process easier, multiple government agencies were allowed to register people to vote. Claiming citizenship became simply checking a box. The National Voter Registration Act also required voter registration rolls to be maintained and updated. Many states don’t. 1998: California eliminated voter ID at the polls. 2002: Help America Vote Act. The goal was to encourage more people to vote. One modification authorized the use of provisional ballots. Provisional ballots enable almost anyone to go to the polls and vote, with their eligibility determined later. The Help America Vote Act also required statewide voter registration databases. California’s database did not comply with the law for 14 years. It was finally certified in 2016 by the state, not an independent third party. Provisions of the National Voter Registration Act and the Help America Vote Act, and their California equivalents, allow the names of inactive voters to remain on the rolls for years. In Solano County, recent data shows that the total of active and inactive voters equals 111 percent of eligible voters. Bloated rolls embolden unscrupulous people to simply check the roster at a polling station, find the name of a person who has not yet voted, and, since voter ID is not required, cast that vote. 2011: Senate Bill 397 initiated online voter registration in California. It required the Department of Motor Vehicles to send an electronic copy of a voter’s signature to the Secretary of State’s office. Anyone with a driver’s license can check a box affirming they are eligible to vote, without any verification of citizenship, and be registered.2014: Assembly Bill 60 authorized issuing driver’s licenses to noncitizens.2015: Assembly Bill 1461, the California Motor Voter Law, changes voter registration from an “opt-in” to an “opt-out” choice. Noncitizens can register to vote either because they think it’s legal or they know there are no consequences for them. Yes, it’s in the law. Since passage, more than 700,000 noncitizens have taken advantage of the new DMV licensing privileges. The door is wide open for fraud. Supposedly, the DMV labels AB 60 licenses in its internal database; but that information is not available to Secretary of State’s office or other agencies. At this time, no law requires coordination between the Secretary of State’s office and the DMV if an AB 60 license holder tries to register to vote online. This year the Secretary of State’s office proposed administrative changes to the California Motor Voter Law. Oddly, one proposal removes the requirement to retain records of AB 60 registrations that are canceled – hiding uncomfortable facts. We have gone from protecting the “right of citizens to vote” to making it easier for anyone to vote. In the process, citizens have had their votes diluted by fraudulent voters. 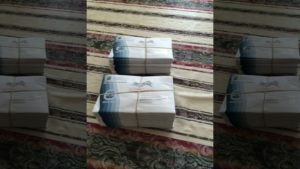 More than 5,500 noncitizens registered to vote in Virginia. In 11 states there were more than 100 counties with more registered voters than the number of citizens of voting age. Attention must turn to California, which holds one-fifth of the nation’s Electoral College votes. It’s time to update federal and state laws to assure citizens that elections are fair, and only those eligible are voting. Changes must include: (1) Require proof of citizenship to register to vote; (2) Require Photo ID to vote; (3) Standardize voter rolls between states with the ability to check voter registration across state lines. We applaud the President’s Commission on Election Integrity. It’s long overdue. We must demand from our legislators, fair and honest elections.